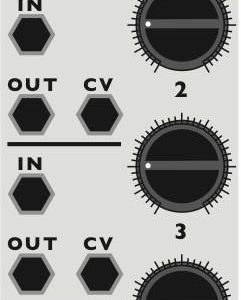 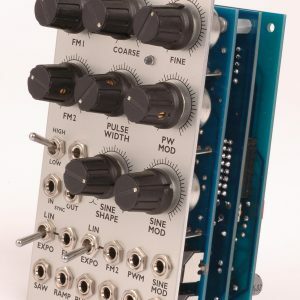 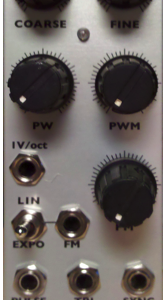 This is a classic OTA filter design that is very close to the filter from the Oberheim SEM. 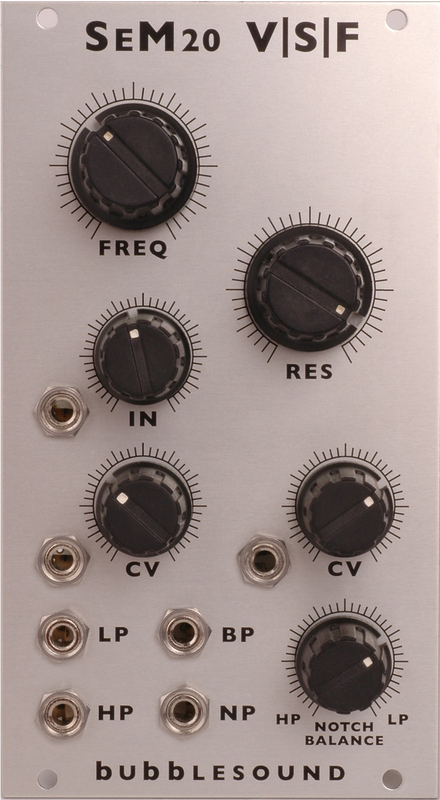 To add more bite to the top end of the resonance the diode feedback section of the MS20 was grafted on to this design giving the user a smooth, SEM like filter with the resonance below 50%, but above 50% the resonance gets a bit more out of control. 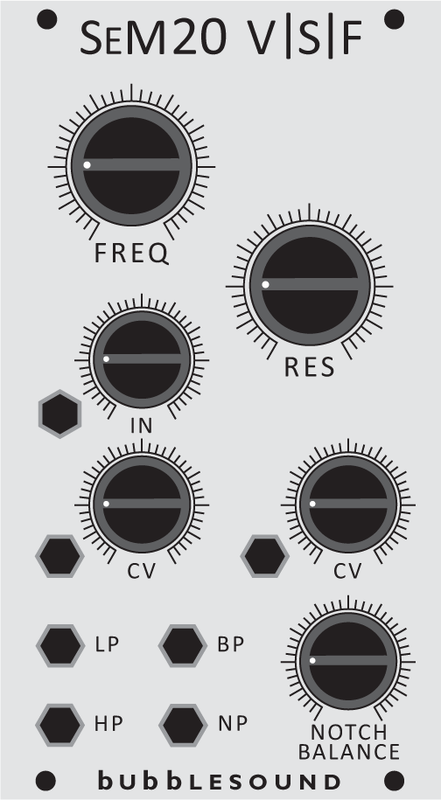 In addition the input will lightly overdrive the signal after the 50% mark, adding even more bit and crunch. 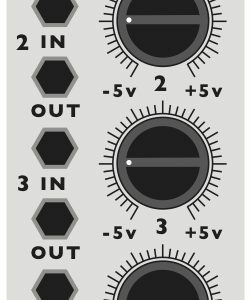 The Notch Balance adds a bit of phasing as it is swept between HP and LP, softening the sound while giving it a rather squishy quality.